One of the popular ways bloggers divert a new visitor towards the prime content hidden in the archives is through contextual links within the post's content. It's not only easy to generate these links but it also presents a natural way to traverse the related content while reading a post. Almost every blogger cross-links his content to get more engaging sessions from the visitors. But, are you implementing this cross-linking methodology in a correct way? It may happen that instead of getting any benefits from it, you may get penalized by Google leading to a massive reduction in search traffic. Today, we're going to see some of the most common mistakes bloggers commit while interlinking their blog posts. These mistakes can be avoided in an easy way, provided we're aware of them and are ready to optimize existing links if any. This is one of the biggest mistakes committed by bloggers while starting their post-cross-linking exercise. This phenomenon simply indicates a strong urge to link to archive even if there's no scope for linking in the current post. In such cases, a blogger deliberately introduces unneeded text to create links to the archives. It may look extremely satisfactory from blogger's perspective, but the results are deadly. Google's SEO algorithms are getting more refined with each passing day and they can easily detect unnatural links spawned within your archives. Do not link to archives unless it makes sense to do so. In the previous section, we talked about irrelevant link creation exercise practiced by some bloggers. 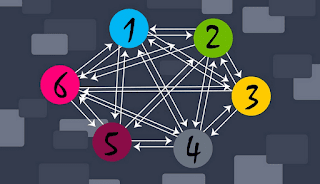 Introducing high link density is the next common mistake that is closely related to irrelevant link building. Sometimes, bloggers link to dozens of posts in the archives while writing an article. Some of these links are relevant to the topic while others are introduced unnecessarily in a desperate attempt to divert visitors to different blog posts. This methodology increases the link density at an alarming rate spoiling your on page optimization efforts. You must keep check on the number of inbound links you're creating in each and every post. If they're in dozens in every single post, you're preparing for a severe penalty from major search engines. Remember, resource pages may contain good number of links concentrated in different sections. This problem is more common with newbies who simply are not aware of the problem. The keyword or phrase that is used to create a link is known as the anchor text. Newbies often make the mistake of using exactly the same phrase or keyword for the same page in the archives repeatedly in different blog posts. In simple words, when they feel the need to link back to a specific page in a new blog post, they always use the same text for the anchor text. This is one of the bad SEO practices that can dry up your search traffic in quick time. Fortunately, the remedy is quite simple. Every time you link back to a blog post in your archives, use a unique anchor text that is not used before. But, you must make sure that the anchor text should be selected from the natural flow of the article text instead of deliberately trying to invent one for the link. Now, this is bound to happen if you're making the first two mistakes discussed above. I've written several posts on SEO and while writing this post, I've not linked to a single post out of them. Why? Because none of these posts closely related to the topic which I'm discussing in this post. Context plays a major role in link building, whether they're from external or internal web pages. To avoid this mistake, simply pay attention to the current blog post you're writing and the post you're going to refer to the content. If the topics are related and it makes perfect sense to divert the visitor for added information, you should go ahead with cross-linking both of them. Otherwise, it's better not to introduce any kind of cross-linking activity in the post. This is yet another mistake mostly committed by affiliate marketers. Professional bloggers often create bridge pages for selling affiliate products which act as an intermediate destination before the potential buyer reaches the actual product page on an external website. Linking excessively to such kind of bridge pages can hurt your site's SEO structure and may cost your traffic and money. The second mistake is committed by linking to almost empty pages containing little text surrounded by loud advertisements. Some bloggers try to use this gimmick for diverting more traffic towards advert-packed web page. This is not only against the terms and conditions of all popular pay-per-click programs but also dilutes your internal cross-linking efforts. Both these mistakes should be avoided at all costs.